Many years ago a friend of mine and I started a small publishing business. We started it to publish mathematics books that had never been translated into English. We translated them and then published them. I think we were the first publishing house to do everything except book binding electronically. My friend and I had deep interests in mathematics and the way it developed. I took a more conventional route by way of graduate school. He developed his own methods for study and understanding. He asked a very special kind of question. He would read a text very carefully and look for contradictions in the text. These were places where the usual understanding had direct, demonstrable conflict with the text. He would then ask a simple question, “What am I not understanding about this text that is creating this seeming contradiction?” He would meditate on these contradictions a long time, sometime for weeks. Finally he would literally break astonishing new ground in understanding what was really going on. It was so creative that it took my breath away. For example, most of you have taken algebra in high school. People who take high school algebra break into 2 classes; those who learn the rules and learn to calculate and those who can’t get past the seeming contradictions in the concepts. The second group tend to be thinkers and creative people who are stuck if the concept is flawed. And many of the calculational rules in algebra have very little meaning. They were developed to get a result and the concepts behind them are weak. From here my friend traced the history of the development from Viete (the Father of Algebra) down through Descartes. What he showed is astonishing. Our current development of algebra is based on a whole series of misunderstandings of what the original author, Viete, was trying to do. He was developing something more philosophical and his followers (who read him after his death as he had no students) didn’t understand what he was attempting and went off in a completely different direction! Because of that we have a mismash of techniques that let you solve problems but have no clear conceptual foundation. He also showed that Aristotle’s Logic has nothing to do with Stoic logic and demonstrated ways of bringing back into physics intensive quantities. All of this from a simple question and enormous faith that there is something real behind the seeming contradictions. I’m not convinced that everything he does is in the text he started with but I am sure that in trying to get clear he creates wonderful things on a massive scale. He reminds me of the 20th century philosopher Heidegger. Heidegger was one of the most creative philosophers of the 19th and 20th centuries. But in every book, article or lecture the ideas he is developing are traced back to the Greeks. He often says this is what the Greeks were aiming at and he is just bringing it forward. This is clearly not the case. The Greeks were great but what Heidegger was bring out of his fertile imagination was something brand new; a different way for us to see the world. My friend does the same and it comes from asking the simple question and demanding clarity on that question, From that question springs amazing vision. So this is the end of the 29 days of blogging. I’ve enjoyed sharing with you and hope you will visit me at my blog as we move into spring. 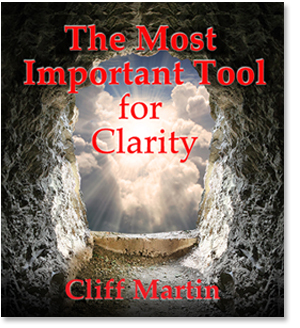 Fascinating, your friend and a lot of free thinkers and trail blazers have one thing in common, they all perform some kind of meditation to get clarity. great post to end this challenge. Karen, Is math a universal language? I don’t know but it is a special human construct and important to what we do. thank you for all your insight and encouragement. May we all keep in touch.